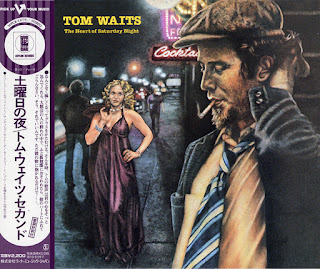 Tom Waits is an urban romantic poet whose lyrics echo the oral Beat poetry pioneered by Kerouac, Ginsberg, Ferlinghetti and Corso in the Fifties. Like the Beats, Waits has an ear for the underlying rhythms of American speech and an impressive ability to catalog and juxtapose provocative snatches of cityscape while creating a grandly sentimental vision. 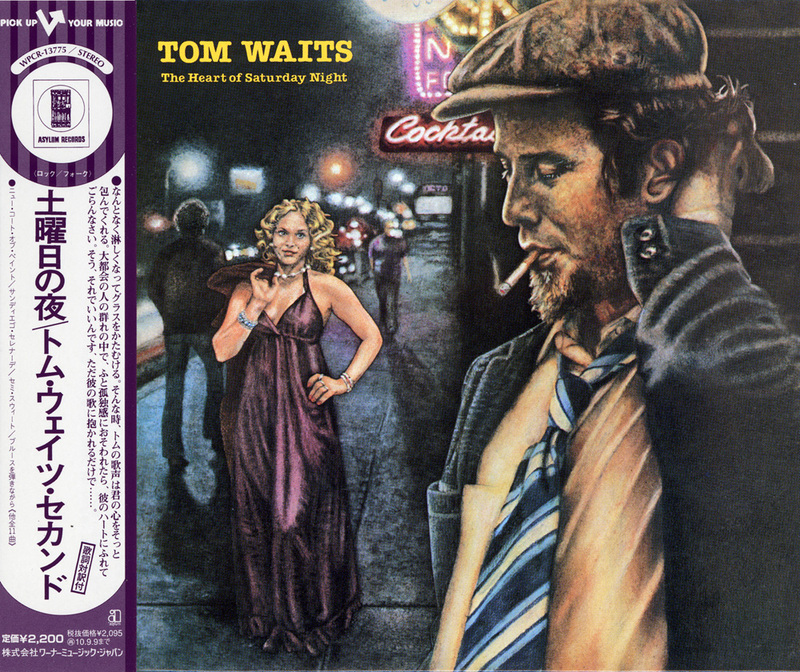 Waits has the special ability to redeem cliches — to make such phrases as "lonesome ol' town" and "ol' bloodshot moon" at once sincere and sardonic. While so many singer/songwriters concern themselves with escape from the city, Waits's songs express passionate love for the seamier side of Los Angeles and its environs. Booze, cigarettes and gasoline fuel his world of neon signs, gas stations, diners, bus depots, barmaids and sailors, all of which merge into an evocation of ecstatic nighttime restlessness. Two other songs — the title cut and "The Ghosts of Saturday Night" — also have very strong lyrics. Musically, the most beautiful moment is "San Diego Serenade," a slow waltz with a lovely string arrangement by Mike Melvoin. Among today's young, white singer/songwriters, only Bruce Springsteen plays with language so abandonedly, though Waits's cool, jazz-flavored pop is utterly dissimilar to Springsteen's hot rock & roll. 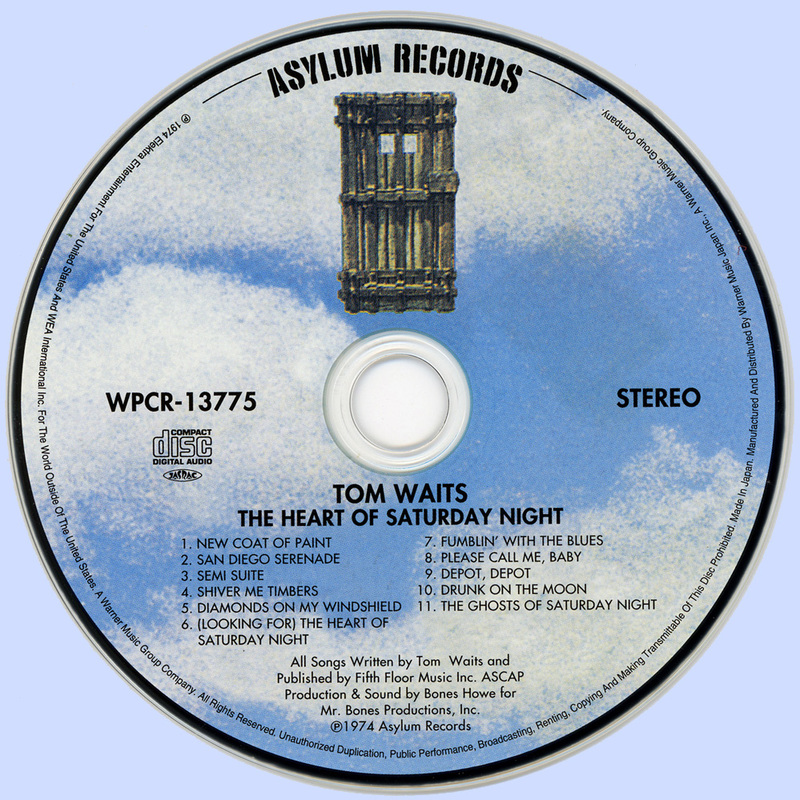 In his liner notes, Waits lists among his many influences Kerouac, Randy Newman and Frank Sinatra. One that he omits is Hoagy Carmichael, with his laconically sentimental keyboard style. Beneath the sophisticated brilliance of his lyrics, Waits reveals a haunting innocence — the sense of a loner circling and recircling the same turf, musing out loud.